With hundreds of thousands of iPhone apps available, developers would resort to the most innovative ways to catch your attention. An example of which is the Pocket Heat from HAL Apps LLC that turns your iPhone (or iPod Touch) into a portable heater during those cold, lonely nights. 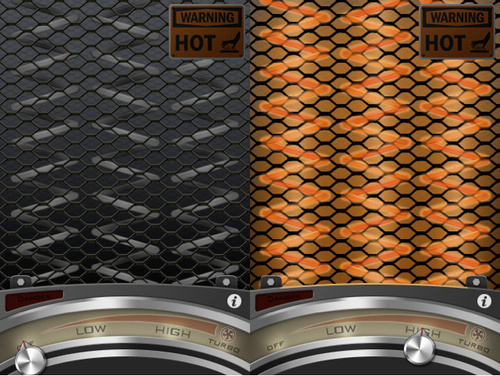 Pocket heat, which can be downloaded at iTunes for only US$1.99, works by maxing out the phone’s CPU processing power, even displaying a retro-style heater with an onscreen slider that adjusts the heat level from low to turbo. As the temperature is set higher, the heating elements on the screen illuminates further. Several tech blogs find it too risky to try, especially after Apple issued an advisory saying that iPhone 3GS should be operated in places where temperature is between 0 to 35 degrees Celsius, as prolonged exposure to heat would produce a temperature warning screen. Excess heat also causes problems with the phone’s WiFi. If you need something to keep you hands warm, try gloves or, better yet, make your own corn pillow.